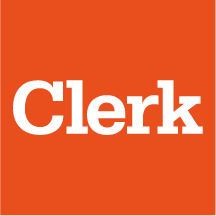 Clerk is growing very fast: more than 500 hotels in 50 countries are already using our management tool. This fact motivated us to give our customers the possibility to choose between currencies from every country. Go to "Administration" in your Clerk hotel site. Click on "Currencies" in left menu. US Dollar is Clerk default currency (you can manage up to three currencies). To activate them, click on the field "Select Currency" and a list will be displayed. If you want your currencie be the default one, erase the dollar and choose yours. Look for the currency you want to assign (for example, English Pound) and choose it from the options. Once selected, click on "Add Currency"
Repeat to configurate more currencies. Remember you have to add rooms and services prices according to the currencies you enable.